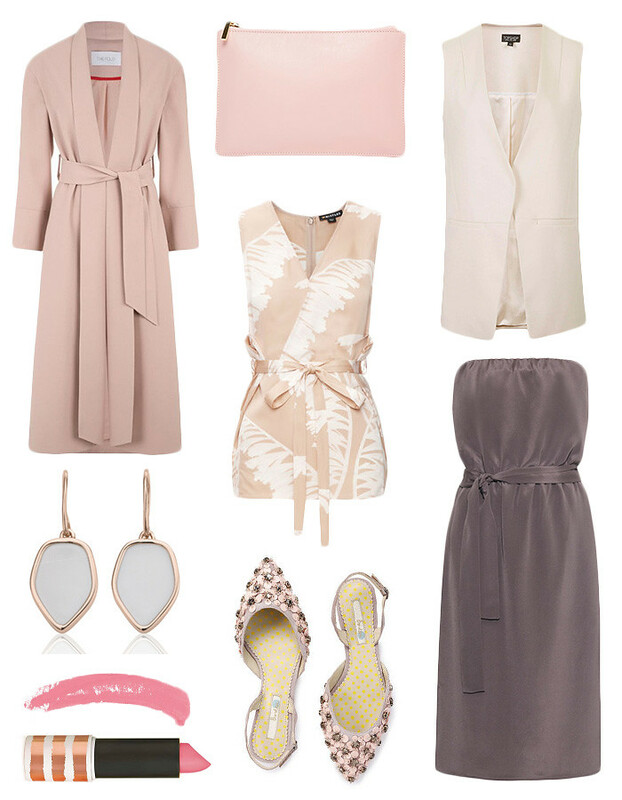 Top row L-R: Hampstead blush pink duster jacket, The Fold. Whistles pink leather clutch, ASOS. Tailored sleeveless jacket, Topshop. Middle row L-R: Atlantis Flint drop earrings, Monica Vinader. Honu drape bamboo top, Whistles. Bottom row L-R: Lips in Innocent, Topshop. Bella Slingback, Boden. Raey elastic bandeau silk dress, Matchesfashion.com. Think pink. It's spring/summer's biggest colour trend and pink has that romantic feel that's perfect for wedding guest attire. Cover up. If your dress is sleeveless, lower-cut or on the mini-side, invest in a cover up for church. It's respectful and chic. Consider flats. Formal flats are now officially a trend, and they're comfy and chic to boot. Look for embellished lace-up styles that have all the glamour of a heel. Wear white. It might sound obvious, but white and cream hues are for the bride only. I once saw a guest in a white maxi dress at a wedding - I felt offended on behalf of the bride! Wear black. Unless the dress code is black-tie, black is too sombre for a wedding. If you prefer darker colours, navy is a chic alternative. Break the bank. If you're tight on a budget, just wear that old faithful dress lurking in the back of your wardrobe. As a nation of consumers, we're hung up on always buying something new - add some pretty accessories to update a existing style and reap the financial benefits.